Mi-Fiber | Your Des Moines internet provider. Construction is Underway in Fiberhood A & Fiberhood G! This is a courtesy notification to inform you of upcoming construction in your area. With permission from the City of Waukee, we will be installing telecommunications conduit and vaults for Mi-Fiber, LLC. We strive to return all disturbed areas to their original condition. As construction begins, please be aware that it is unlawful to remove the utility markers required for construction. We apologize for any inconvenience this may cause. Thank you for your patience! Great for up to 3 devices. Great for up to 5 devices. Great for streaming services like Netflix. Great for any number of devices and online gaming! 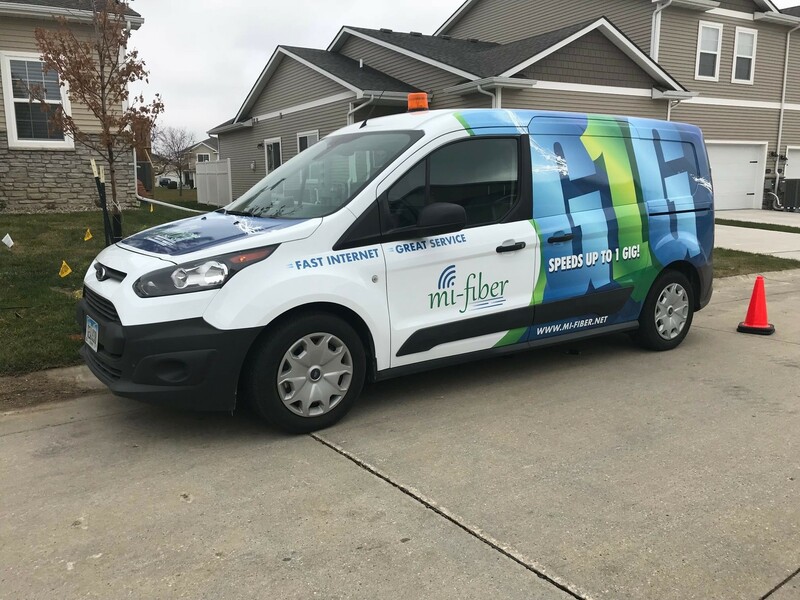 Mi-Fiber provides Internet service to customers in Waukee, Iowa. We deliver empowering technologies with an unwavering commitment to personal service, community engagement, and commercial integrity. Tired of having to work with a 4-hour window with your service provider? We set up appointments, making it easier for our customers to schedule an installation. Our Internet connection is backed by a complete Fiber Optic network. That means no coax and no copper. By using a single fiber strand to each service location, symmetrical connection speeds up to one GIG can be achieved. Our parent company has over 60 years of service history in the telecommunications industry in Iowa and Missouri.